I'm so excited to post this! UC San Francisco has named a highly accomplished pharmacist and clinical scientist, B. Joseph Guglielmo, PharmD, to lead the nation’s premier School of Pharmacy, continuing the school’s focus on shaping the course of the therapeutic sciences, pharmacy education, patient care, and health policy. UCSF Chancellor Susan Desmond-Hellmann, MD, MPH, announced the appointment today, noting the numerous contributions that Guglielmo already has made to UCSF, as well as his breadth of leadership across the academic pharmacy landscape. We see a time when new, precise therapeutics – drugs, medical devices, and diagnostic tests – are used safely and effectively to improve the health of people everywhere. As the nation’s leading pharmacy school in terms of both research funding from the National Institutes of Health and the ranking of its Doctor of Pharmacy degree program in U.S. News & World Report, the UCSF School of Pharmacy serves as a bellwether for pharmacy schools worldwide. Guglielmo has served as the school’s interim dean since July 2012. He previously led the school’s Department of Clinical Pharmacy as the Thomas A. Oliver Chair in Clinical Pharmacy. The UCSF School of Pharmacy is a leader in pharmaceutical chemistry and in the bioengineering and therapeutic sciences, including such fields as pharmacogenomics, the science of how our genes affect our response to medication. In the 1960s, it was the birthplace of clinical pharmacy, in which pharmacists began to work in the hospital directly with physicians, patients, and their families to ensure the best medication choices and the safe and effective use of those medications in patients. The school is now exploring new ways to better apply the medication expertise of the pharmacist outside the hospital. The School of Pharmacy’s specific focus on therapeutics to improve health complements UCSFs singular focus on health. The University also includes leading graduate schools of Dentistry, Medicine and Nursing, as well as graduate and doctoral programs in biomedical research, a vast research enterprise and a top medical center. 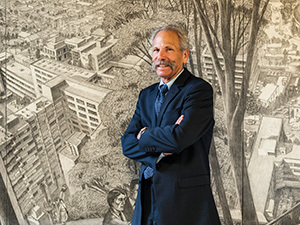 dean in 2012, joined the UCSF faculty in 1979. Guglielmo is a well-respected educator, clinical pharmacist and expert in the evidence-based, safe and effective use of antimicrobials to treat infections. He is a professor of clinical pharmacy in the UCSF School of Pharmacy, where he joined the faculty in 1979. He also currently serves as associate director of pharmaceutical services in the UCSF Medical Center, where he maintains a clinical practice as an infectious-disease pharmacist. Widely known as an advocate for therapeutics research, Guglielmo oversaw, as department chair, a 40 percent increase in the Department of Clinical Pharmacy’s overall faculty research funding from 2006 to 2012, including grants from the National Institutes of Health. Guglielmo’s international contributions to antibiotic safety include the UCSF Medical Center Antimicrobial Stewardship Program, which he developed in the 1980s to study and improve the practices governing the use of antimicrobials in hospitals. The goal of the ongoing program is to decrease the threat of microbes developing resistance to medications. This stewardship program was one of the earliest programs of its kind in the United States. In 2007, Guglielmo created the UCSF Medication Outcome Center to improve medication use and management in the UCSF Medical Center and beyond. He also developed clinical pharmacy services for UCSF's HIV/AIDS program, specifically supporting the HIV Women's Program and the Men of Color Program. A firm believer in forging relationships among clinical scientists and their colleagues in basic and translational science, Guglielmo was actively involved in the UCSF Clinical and Translational Science Institute at its inception and during its renewal. 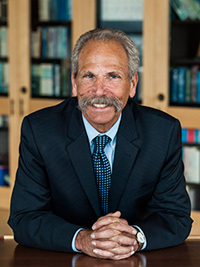 He has taught Doctor of Pharmacy and Doctor of Medicine students, residents and fellows for decades and is the recipient of many teaching awards, including the UCSF Lifetime Achievement in Mentoring Award, Resident Preceptor of the Year Awards, UCSF School of Pharmacy Long Teaching Award, and the Academic Senate Distinction in Teaching Award. He is the author of more than 110 peer-reviewed papers, the majority related to anti-infective agents. Guglielmo will receive a base salary of $271,000, with a Health Sciences Compensation Plan component of $94,000 per year, for a total salary of $365,000. He also is eligible for standard pension and health and welfare benefits for senior leadership. The appointment, which was approved by UC President Mark Yudof, will take effect April 1. The UCSF School of Pharmacy is internationally known as a wellspring for research discovery and innovation in the therapeutic sciences, a leader in doctoral-level pharmacy professional education and science education, and a leader in the evidence-based pharmaceutical care of patients.